Everybody loves shortbread, especially at Christmas, and each cook swears by her own recipe. (I’m sorry if that is sexist!) I find shortbread made only with plain flour rather cloying and much prefer it made with the addition of some ground rice or semolina to give it some crunch. Don’t confuse ground rice with rice flour, although you can use rice flour too. Rice flour is quite fine whilst ground rice is more gritty. Sift the plain flour and add the other dry ingredients. Rub butter into the mixture and knead lightly until they can be transferred onto a floured board and kneaded until smooth. Alternatively, put the dry ingredients into the bowl of a food processor, chop the cold butter roughly and add to the bowl. Process until the mixture forms a ball around the blade. Press the mixture evenly into a greased lamington tin (28cm x 18cm), mark with a knife into squares or rectangles for cutting later. Prick the surface of the shortbread with a fork. Preheat the oven to moderately slow (160C) and bake for 35 –40 minutes. Remove from oven and using a very sharp thin knife, cut right through along the pre-marked lines. Allow to cool in the tin for 10 minutes before transferring to a wire rack to cool. The shortbread can also be made in an 18cm diameter flan tin with a removable base. Mark into wedges of the desired size and prick with a fork. 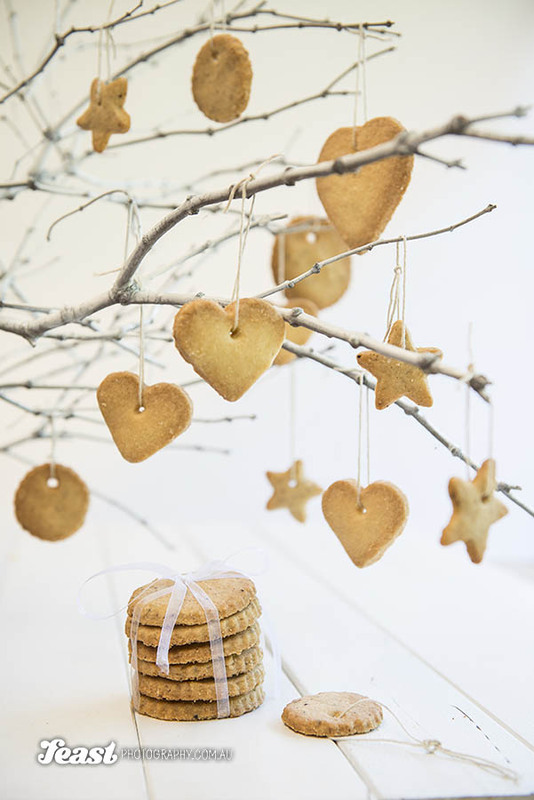 Alternatively use a cookie cutter to cut into shapes as above!